These days, all of the fine men have either already gotten married or already have a girlfriend. Life has a way of making the most unlikely people fall in love. It's suuuuper cuuute!! It gets updated every Sunday only but I think it's worth the wait. and she falls in love with him pretty much at first sight. Miao Yuan serves (only) him a special cake she makes every time he visits the cafe. After several failed attempts to find any of those obnoxious ladies charming, Miao Yuan's friend suggests that he visit Miao Yuan who was not at work because of a fever. And seeing that she had a good demeanor in his eyes, he does visit her and well, they start going out. This book captures what love is about, making you reminiscent about past experiences. It's written extremely well and isn't unrealistic or extremely cheesy. I would definitely recommend reading this if you're searching for a sweet story with a few bumps. Came back to edit just to say PLEASE READ THIS. Amazing novel. This novel is bittersweet in terms of narration. There's sweetness because of the main characters' interactions. Their feelings. And the desserts! Yum 😉. On the other hand, it's bitter because it explains that love is not like what we read in romantic books that young girls' like to read. It's not what we fantasize as something that will always gives us happiness and fluff. Love was showed in this novel as something even deeper and incomprehensible. It's not just about possessing someone. As someone who hasn't fallen in love yet, I kinda feel... more>> scared of that mysterious feeling. But at the same time, I want to experience it because -even a little- it gives people something to look forward to. That bittersweet feeling is something unique that not all will experience. It is also at this moment where you can learn something new. I have read all the reviews which incited me to start this novel with hight expectations buuut I'm just feeling bored. 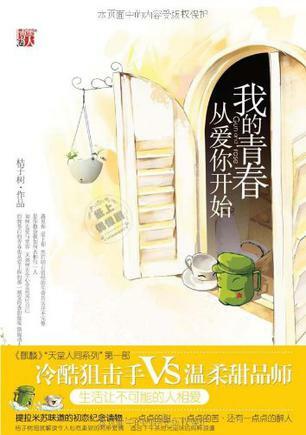 Habituelly I like "the slice of life" type of novel with slow pace but this one... ghhh.. I coudn't make it more than 12 chapters.... may be it's me that's weird but for exp : when reading dialogue part the protagonists will start reminiscencing about things that are completely out of context and you'll forget about the actuelle convesation those the mood is lost and you end up with head... more>> ache. The translation quality is really good and the story is not that bad (pretty cute) it's just personnel preference, so you wouldn't know until you try it.